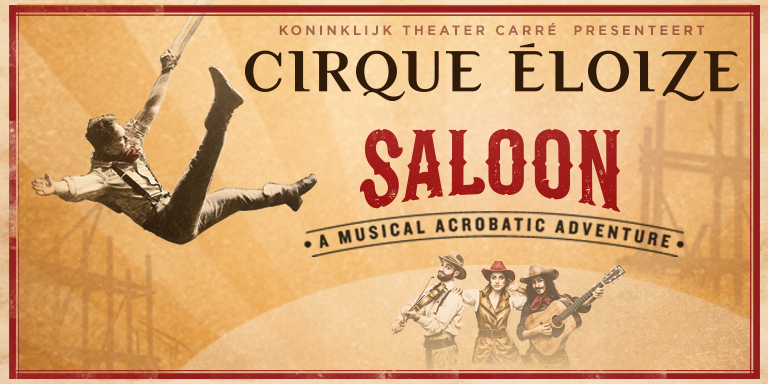 The Wild Wild West comes alive with Cirque Éloize’s newest creation Saloon. Swing open the Saloon doors and lasso up some fun for the entire family. Enter a mythical world where theatre and circus collide for 85 minutes of non-stop live folk music combined with strength, agility and original choreography. Under the spell of Saloon’s beautiful Belle, the lover sets off in a chase worthy of the greatest Westerns for an action-packed theatrical thrill-ride! On behalf of our member Délégation générale du Québec à Bruxelles, I am very pleased to inform you that a 15% discount on ticket prices has been negotiated for members only. The 15% discount will apply on category 1 and 2 seats. For members who wish to take advantage of this offer, please contact the office for details.